At the top of every ski run is a sign with Ski Slope Rating Symbols. A green circle. A blue square. A black diamond…maybe two. What do these ski slope symbols mean? You might want to find out before you exit the lift while rocking out with some Bluetooth helmet speakers. The National Ski Area’s Association (NSAA) first adopted a system of signage in the winter of 1964-65. Before that, as if skiing on wooden boards with leather boots wasn’t hard enough, it was every man for himself. The colors they used were different than today and also conflicted with the colors used in Europe. American Resorts used yellow to designate intermediate trails and the French used red because, well who knows why—they’re French. The Walt Disney Company was considering opening a ski resort and did studies and tests on which colors worked best. They came up with the current green circle for easiest runs, a blue square for intermediate, black diamond for advanced and double black diamond for expert. This system was adopted by the NSAA 3 years later in 1968 and has stuck ever since. These ski slope rating symbol’s are the easiest runs, usually very wide, with a slope gradient of less than 25 percent. This is the international ski slope rating symbol for “point them downhill and go as fast as you can.” Okay, maybe not for everyone. For some of us it means the resort has graciously supplied us with moving-human slalom poles to ski around. For Beginners, it may be the only run you see today and it doesn’t get any easier. You can always bail to the bunny slope down by the base of the mountain but with today’s social media; do you really want a picture of you skiing with 3 year-olds posted on Facebook? These are considered intermediate runs with a slope of 25-40 percent. They’re the most popular and crowded runs. These are considered bombers or cruisers to most. This is the first step past green beginner runs and though usually pretty flat, some have bumps on them as well. They also have a more recent phenomenon known as the Abominable Snowboarder. Watch out for these terrors of the blue runs because once they advance past the green runs, there’s no stopping or slowing them down. Blue runs are a good training grounds for the bumps you will see, hopefully on purpose, when you do drop into a black diamond run at a later date. These runs will have steep gradients exceeding 40 percent and are considered difficult. These runs are where you can get a little peace and quiet, except for the screaming. They are either very steep, full of bumps or both. You don’t have to be an expert to ski these but that would help, along with a lot of confidence. Alcohol helps too. 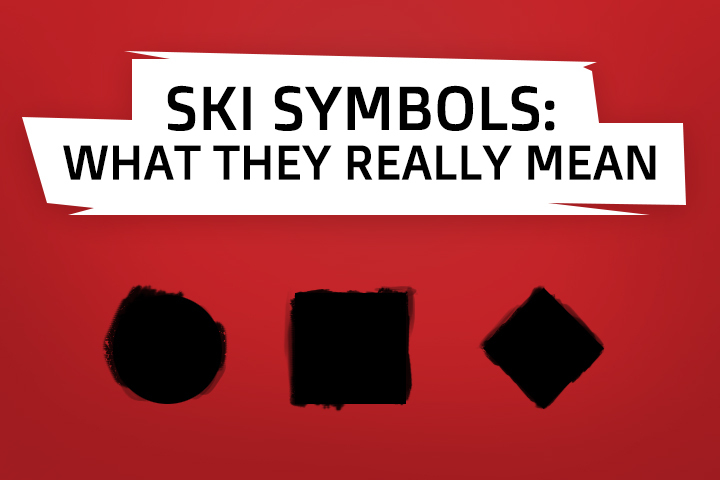 These are the most difficult ski slope rating symbols and should be skied by experts only. 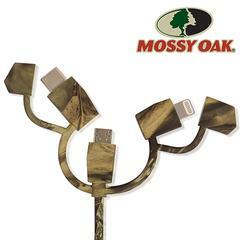 They may have obstacles like cliffs or trees and conditions may vary. There are fewer people on these runs, mainly because of our basic survival instinct. These are the runs that make even atheists pray to God. If you’re not a true expert you have just made a huge mistake. This is one time where, to heck with social media, you may want to walk down this puppy. An orange oval means beware—Abominable Boarder area—also known as the Terrain Park. This is a new one and not used everywhere but if you do see it, my advice is, slowly back up and ski away.